Back in 2014, Facebook CEO Mark Zuckerberg made the bold claim that within five years, most of Facebook’s content will be video. We’re now two years into that promise and already seeing delivery in a big way with Facebook Live. In case you’re reading this blog from under a rock – Facebook Live is the popular feature that allows Facebook users to live stream a video of whatever they’re doing. You can choose to connect with all your followers at once or create private Facebook groups and live stream within them for a more controlled setting. By using Facebook Live for internal as well as external communication, you can meet your people in a more personal and relaxed setting. Don’t be daunted by the idea of going live! We know it can leave you feeling a little vulnerable, but your audience wants to see that kind of authenticity from your brand. Why do so many tech companies hold live conferences to announce new updates? Because a big, live reveal generates a lot of excitement (take it from the event engagement pros)! Facebook Live is a great way to tease new products and services or give a nod to how existing ones are helping clients every day. Why not give a live, detailed tutorial or product demo? A great thing about the live aspect is that your audience can ask questions and get answers in real time, something they might have to wait hours or days for in any other circumstance. The live setting provides a higher level of trust when it comes to products and services, showing that there is no post-production fluff involved, and what you see is what you will get. Your brand’s public personality and internal culture are heavily dependent on one another. Happy, high-performing employees exhibit better customer service and overall morale, in turn giving your brand a sterling public reputation that motivates employees to keep shining. Start showing the world why it’s so awesome to work for your brand. Do you have fun activities at your office? Next time, stream it! You can also look outward for examples of your people living into the culture by encouraging user-generated content with Facebook Live. We’ve all been ‘regulars’ somewhere, or worked in an environment with regular customers, and the natural rapport that develops is branding gold. Starbucks just recreated this effect in a new commercial, and even though it was scripted, the outcome was heartwarming. Imagine how much more genuine the message would be if you encourage your customers to tell it for themselves by live-streaming their store experience, showcasing their interaction with your product and their favorite associates. This is where the option to create a closed group and stream privately within it will come in handy. 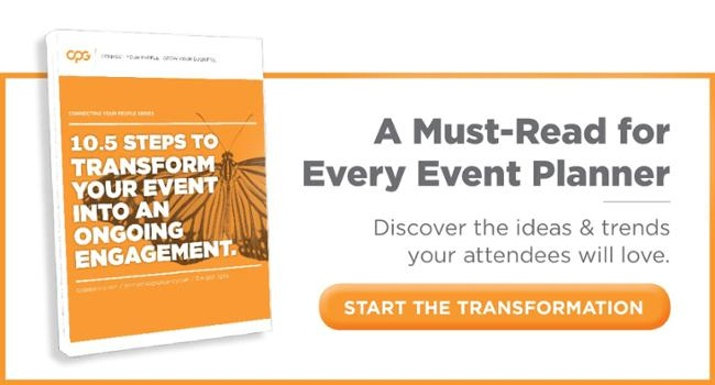 Create a group for your attendees to join and promote your internal event by revealing the location through a live video walk-through, or announce the breakout topics and speakers through live reveal parties. You can incorporate virtual guessing games or ‘fun fact’ elements into these reveals to increase participation. Further attendee engagement onsite by giving your people live access to experiences they would never normally have. Give them a behind the scenes look into the movers and shakers who make your event happen, or an exclusive interview with the keynote speaker. You can also use Facebook Live as a more interactive way to stream your event to those who weren’t able to attend in person, but don’t want to miss the content and have valuable questions. With an interview or Q&A session over Facebook Live, remember to do as much pre-promotion as possible before you begin your live stream. You want people ready to go with questions, and to be 100% sure when and where to go to get answers. Hold external interviews with product experts, allowing your customers to get immediate feedback on their questions. Or set up an interview with the founder or CEO of your company, so people can learn a little more about the person at the helm of your brand, and why they believe in its mission. Internally, you can interview top performers and let them share tips on what they do differently that led them to become a superstar within your organization. It will be helpful for the rest of your people to hear their perspective and get insights on what they can do to better their performance so that everyone is excelling in their role. Free flowing information is never a bad thing. Live streaming is another great communication tool to add to your mix and engage both customers and associates. The more transparent you are with your services, your people, and why your brand is unique and useful, the more engagement you will receive across the board. And the very best thing about Facebook Live is that it’s free. There’s nothing stopping you – get out there and go live!